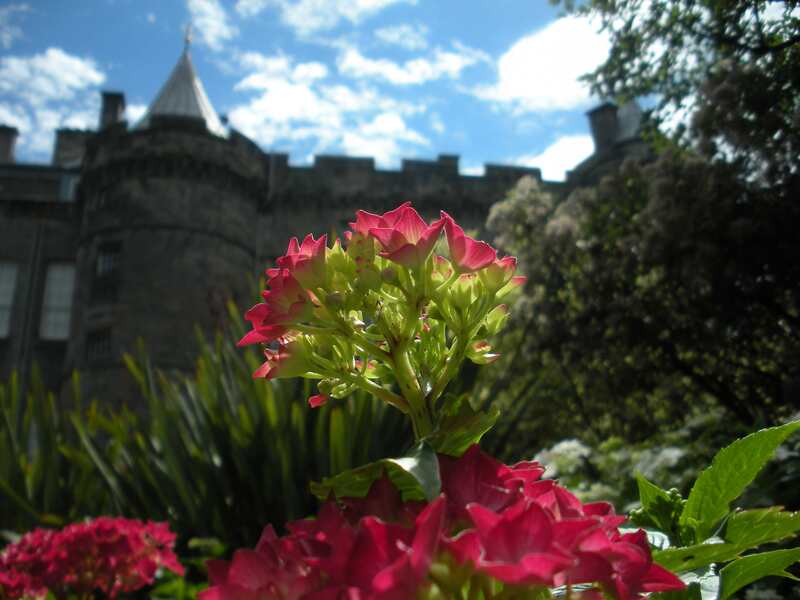 Holyrood Palace, Edinburgh; a brief post with a bit of blue sky (which we are sorely lacking). I stared at a thimble for a while today and tried to come up with something to say about it. That sounds like it could be a metaphor, but it’s not. Instead of a thimble, you get the rooms where Mary, Queen of Scots watched the murder of her private secretary. Tourists in later centuries claimed that they could still see the bloodstains on the floors. I could not. I did see, however, a number of rather random Mary, Queen of Scots artifacts, including a bit of needlework depicting kittens.